� Marketing a restaurant is no easy task. There is so much competition in the local market that it can be difficult to carve out a dedicated customer base or offer an experience that is truly unique. Some restaurants are finding creative ways to get customers in the door, while others are missing out on big marketing opportunities. Direct mail marketing has shown extremely positive results when it comes to increasing restaurant revenue. For many business owners, direct mail sounds antiquated and inefficient compared to newer forms of marketing. Those same doubters would be shocked when they found out that thousands of restaurants identify direct mail as their most profitable marketing source. sheer marketing numbers, that number is actually pretty impressive. To put that into perspective, a majority of email marketing campaigns have a conversion rate between 1 to 2%. A majority of restaurant patrons are local residents, so there is a huge overlap between the mailing list and target audience. Restaurants are especially eager to offer deals and discounts on their products, which is the most attention-grabbing information on any direct mail postcard. Impact Mailers can print unique bar codes onto plastic postcards. 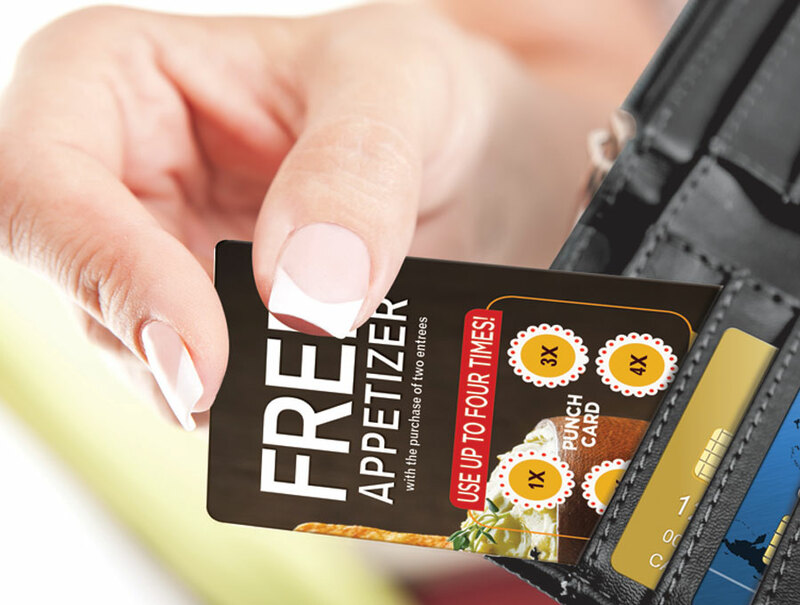 When a recipient brings this card into your restaurant, your staff can integrate the user into a mailing list and restaurant rewards program. Instantly, your advertisement has turned into a frequent diner card, where they can redeem visits and points for special in-store promotions. As we all know in the restaurant industry, repeat visitors are the key to success and rewarding those patrons with a dedicated frequent diner program is a great way to incentivize customers to keep coming back. 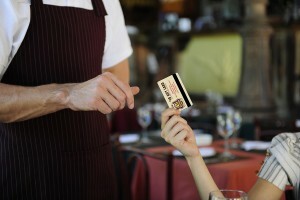 For frequent diner cards to work, they must function easily and effortlessly with your restaurant’s point-of-sale system. That’s right, these plastic postcards can be specially programmed to work with your restaurant’s POS so that staff and patrons can use these cards without any technical mishaps getting in the way. Neighbors talk. Neighbors also get the same direct mail advertisements as each other. Case in point, sometimes neighbors talk about their direct mail advertisements with one another. When restaurants target a certain neighborhood or area of town, it is a great way to generate buzz. Getting people to talk about the advertisement they just received is the first step in getting them to come. Direct mail promotions can be sent to thousands of consumers at once. When you consider the 4.5% conversion rate we mentioned earlier, this means that one round of direct mail marketing can lead to hundreds of instant new customers. From there, the key is to keep them coming back. Change of phone number? New monthly/seasonal promotions? Switching locations? Restaurants generally want to keep their customers up-to-date with any important information. While emails are likely dumped into a spam folder, direct mail keeps your customer base informed about anything going on with your business. Direct mail advertisements are a great tool to convey important information to thousands of consumers at once. As you can tell, there’s a reason behind restaurants’ success with direct mail. While some businesses remain skeptical about the merits of this marketing technique, it does not look like direct mail is going anywhere in the near future. In the meantime, figure out how your restaurant can adopt a plastic postcard marketing solution to boost sales and get more customers back in the door. Call Impact Mailers to see how your restaurant can benefit from a custom direct mail program!